Russian stocks are likely to open higher Thursday amid strong corporate reports from the US, while investors watch closely the address of the ECB chief Mario Draghi later that day. 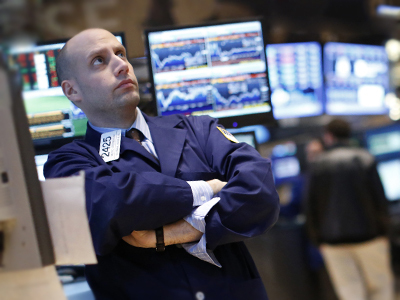 ­Russian markets traded mixed Wednesday as investors returned from week-long holidays. The MICEX added 0.1% and the RTS shed 0.5%. European stock markets advanced Wednesday, gaining after an optimistic forecast and improved revenue from aluminum producer Alcoa outweighed weak German factory data. The Stoxx Europe 600 gained 0.7%. Germany’s The DAX 30 gained 0.3% erasing early losses. The French CAC 40 also moved 0.3% higher. US stocks closed at the positive territory on Wednesday as Alcoa reported better-than-expected revenue and an upbeat forecast for the year, citing expectations of increased global demand. 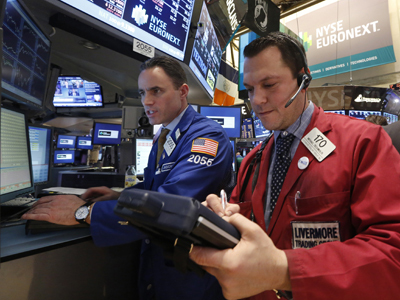 The Dow Jones rose 0.5%, the S&P 500 gained 0.3% and the Nasdaq Composite added 0.5%. Asian shares moved higher Thursday after China’s December exports data bet analysts’ expectations. Japan’s Nikkei Stock gained 0.9% supported by weaker yen. Hong Kong’s Hang Seng both rose 0.9%. The Shanghai Composite added 0.5%, South Korea’s Kospi advanced 0.6%, and Australia’s S&P/ASX 200 gained 0.3%.